Chicago’s high-tech community wants to lure the areas start-up companies back to 1871 — the year that the Chicago Fire burned the city to the ground. 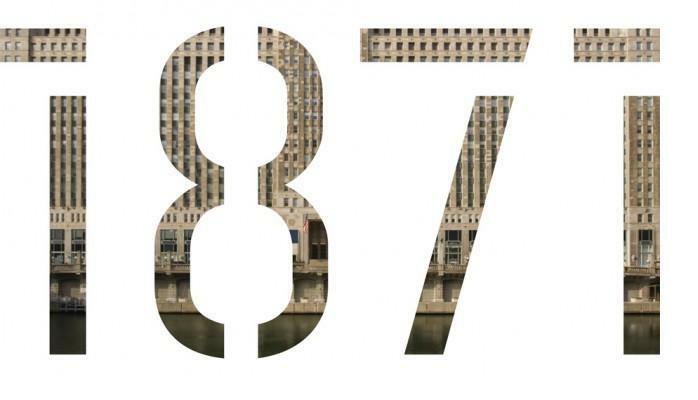 1871 is the name of a 50,000 SF space on the Merchandise Marts 12th floor designed to house entrepreneurs seeking a collaborative and flexible work environment. The name reflects the spirit of innovation that rebuilt the city after the 1871 fire, said Kevin Willer, president of the Chicagoland Entrepreneurial Center (CEC). The non-profit CEC operates the space with support from venture capitalist J.B. Pritzker and the State of Illinois, as well corporate sponsorship from companies such as Comcast and Cisco Systems, Inc. Willer and Matt Moog, founder and chief executive of Viewpoints Network, led efforts to create a focal point for Chicago digital technology start-ups. According to USA Today and the National Capital Venture Association, San Francisco (not surprisingly) is the nations leading home of start-up tech firms, with Boston occupying second place. These are followed by New York, Los Angeles, Washington, D.C., San Diego, Chicago, Boulder/Denver and Seattle. Willer points out that the CEC isn’t an incubator, but a collaborative workspace where entrepreneurs can bounce ideas off each other. Venture capital and angel investors also have a presence at the CEC. Economic development is about creating new enterprises as well as supporting corporations that are already here, Willer said, noting that he hopes 1871 will become part of the Chicagos tech ecosystem. Chicago start-ups raised $1.45 billion raised in 2010, the majority from Groupon which is evidence that there is an energetic tech community in the city. Chicagos largest tech company lease in seven years was 572,000 SF, which Google leased for its Motorola Mobile subsidiary, also in the Merchandise Mart. Here’s a little news to buck up the real estate mavens weathered by the daily diet of recessionary news: Google has signed the largest lease in downtown Chicago in 7 years. It is a familiar story – a marquee firm relocating downtown because of the hip, cosmopolitan appeal and amenities of a CBD — but it does contradict the usual pattern of a recession . Nationally we’re seeing large firms (more than 500 employees) moving downtown to compete for young workers with the effect that the CBD is doing way better than the burbs. According to National RE Investor (NREI) Magazine, since the advent of the labor market recovery in the first quarter of 2010, large companies have created 1.06 million jobs while small companies have created 823,000 jobs. Talk to an economist or your cycle-tested real estate broker and they will tell you that it’s not how things usually work. In every recession we’ve tracked, the small to medium-sized businesses (SMBs) have led hiring during the first stages of a recovery only to be surpassed by large firms ramping up during the latter stages of a comeback. According to NREI, during the economic recovery in 1992 and 1993, hiring by small companies outpaced hiring by large companies—roughly 1.95 million jobs versus 1.52 million jobs. Over the next seven years before the economy entered another recession, the trends reversed. From 1994 through 2000, large firms created 11.23 million jobs while small firms created 7.36 million jobs. The same thing happened in the economic recovery of the early 2000s: During 2003 and 2004 as the labor market began to recover, hiring by small firms of 1.44 million jobs outpaced hiring by large firms of 592,000 jobs. During this period suburban vacancy fell by 35 basis points while CBD vacancy rose by 130 basis points. But then it reversed. Once again, large companies generated more jobs than small companies — 3.09 million jobs versus 1.89 million jobs. So, why is it different this time? The answer is credit. Small firms can’t tap the capital markets the way they used to because banks are still cautious. As a result, they need to keep their real estate costs low which means remaining in suburban space. Concurrently, large firms have gone through a huge cost-cutting period which has warranted the restacking, redesign and relocation of their workspaces to utilize space more productively with fewer but more highly skilled workers. And invariably, it means being downtown. Looking at the 10 largest leases of the last 12 years, we see the types of firms that rely on younger, highly educated workers who want to be downtown — law firms, large financial consulting firms and tech giants. Virtually anyone can be an entrepreneur, although starting one’s own business is a giant leap. Many people look at becoming an entrepreneur as a cause and effect – the academic term being “causal logic”. That may not be the optimal way to view entrepreneurship, however. Rather, the world’s most successful entrepreneurs use effectual logic. According to Craig Wortmann, Clinical Associate Professor of Entrepreneurship at the University of Chicago Booth School of Business, “It goes like this: I’m an entrepreneur, I’ve got this idea, I’ve got this limited set of resources and I’m just going to begin, and I’m not exactly sure what the effect will be.” Wortmann has more than 20 years of experience in entrepreneurial sales and marketing strategy experience. According to Wortmann, this is a powerful way to think about entrepreneurship because the concept has such an underlying vibe of optimism. This notion of entrepreneurship is just start the business, anyone can do it. They are all personality types; they don’t have to be deep in domain knowledge. Anyone can start a business. The research suggests that as long as people are not rigid about reaching a certain outcome, they will be successful. Wortmann asks budding entrepreneurs to think about the idea they have and ask what is the relative value to the idea. He believes that many people get stuck as entrepreneurs because they say “I can’t be an entrepreneur because I don’t have the next Google. I’m not waking up in the middle of the night with the next idea for Facebook.” Any idea that will change the focus of people or get them to do something better or a bit different – you have a potential business. Would-be entrepreneurs need to begin taking action. They need to talk to potential customers and partners, and start to formulate a product or service to offer to people. Chances are the fledgling entrepreneur will be rejected; there is no question about that. But if they keep embracing that chaos and making contact with the market, things will begin to take shape. They need to get out there and realize that they are the structure and the process. To listen to Craig Wortmann’s full interview on entrepreneurship, click here. Just one month into its launch, Google+ has seen extraordinary growth, netting some 20 million unique visitors. Still, it faces several key challenges before it can become the dominant force in social media. 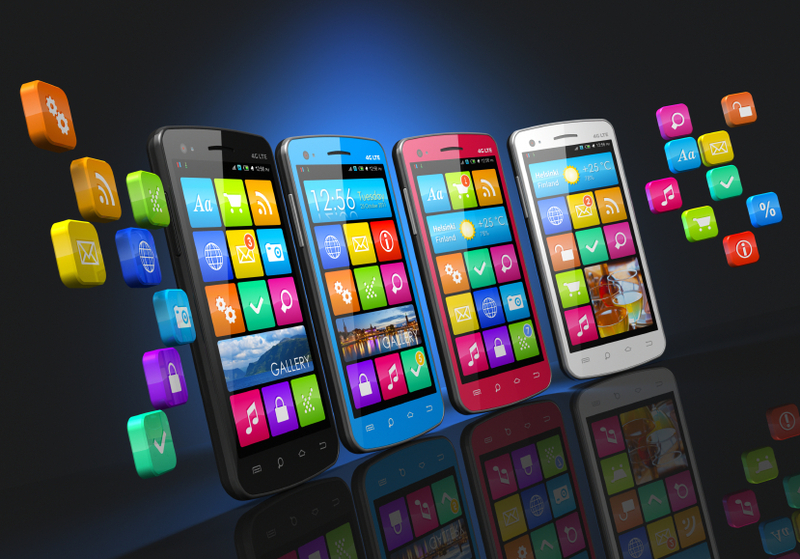 Online metrics company ComScore said that of the 20 million users, five million of those are from the United States. “Google+ is on an unprecedented growth trajectory over its first three weeks, reaching 20 million visitors faster than any site in recent memory,” Comscore Vice President Andrew Lipsman said. The estimate comes a week after Google CEO Larry Page said that the company already had accumulated 10 million registered users. While registered users and unique visitors are not necessarily the same thing, that growth has been nothing short of impressive. While the rate of growth is unparalleled, the social network is still small when compared with its rivals such as Facebook and Twitter, which have 750 million and 200 million registered users, respectively. Google+’s success will depend on how Google “converts this strong trial base into regular users,” Lipsman warned. While competitors Facebook and Twitter have become online destinations in themselves; more than 50 percent of traffic coming to Google+ is initiated by visits to Google or Gmail, according to Experian HitWise. YouTube is a significant referrer. “So while we have a lot of work still to do, we are really excited about our progress with Google+,” Page said, noting that Google will re-focus on its core products and on new innovations. “Google+ is also a great example of another focus of mine — beautiful products that are simple and intuitive to use and was actually was one of the first products to contain our new visual redesign.” Google+ isn’t Google’s first expedition into the world of social media and its excitement over having 20 million Google+ users may be early. Google introduced Google Buzz in February 2010 and immediately saw user numbers swell; it was later panned. Reports are that Google will, unlike Facebook, host games on its own servers — this could make them faster and less prone to glitches. The Google+ code mentions a gaming platform, and the company has reportedly invested as much as $200 million in the leading social gaming company Zynga. There has been no official announcement about if and when the Google game platform will launch or how it will be designed. Facebook is still beating Google+ in time spent on a social network. HitWise research director Heather Dougherty said the average visit time for Google+ is five minutes and 50 seconds, compared with almost 22 minutes on Facebook. Dougherty also examined how users arrived at Google+. Google.com (at 34 percent) and Gmail (at 26 percent) account for 50 percent of all traffic to Google+; another six percent come from YouTube and Google Profiles. Facebook ranked third among websites visited immediately prior to Google+, an indication that many social-network users have multiple accounts. Google+ ranks as the 42nd most visited social networking site in the United States, and was the 638th most visited website. Broken down by region, most of Google+ visitors are from Los Angeles, New York City and San Francisco (in descending order). On the PBS Newshour, Ray Suarez interviewed Josh Bernoff, a senior vice president of Forrester Research, who has written two books on social media. According to Bernoff, “I certainly think that there’s no rational way to understand these valuations. I want to be clear here. Social is very exciting. There’s a lot of business perspective, a lot of optimism that goes along with it. But I think these valuations are based on where people think the next buyer will come from and not on where the actual revenues of these companies are going.” Earlier this year, Microsoft bought Skype for $6.5 billion, although its revenues are less than $1 billion a year. When LinkedIn went public, it was valued at $9 billion. Its profits are just $12 million annually. Google and SolarCity, a rooftop solar-panel company announced a $280 million investment deal, the largest such deal for home-based solar power systems in the United States. The investment gives San Mateo, CA-based SolarCity the funding to build and lease solar power systems to as many as 7,000 to 9,000 homeowners in the 10 states in which it operates. “It allows us to put our capital to work in a way that is very important to the founders and to Google, and we found a good business model to support,” said Google’s Joel Conkling. Google CEO Larry Page wants the firm’s operations to eventually produce no-net greenhouse gas emissions. To achieve this, Google has invested in wind farms in North Dakota, California and Oregon, solar projects in California and Germany, and the beginning stages of a transmission system off the East coast to encourage the construction of offshore wind farms. The SolarCity deal is Google’s seventh green energy investment, totaling more than $680 million. Typically, a rooftop solar system costs $25,000 to $30,000, which is beyond the means of many homeowners. Instead, solar providers like SolarCity, SunRun and Sungevity pay for the system with money borrowed from a bank or a specially-designed fund similar to the one that Google has created. The resident then pays a set rate for the power generated which is lower than or approximately the same as local electricity. Typically, s 5-kilowatt system will generate 7,000 kilowatt-hours of power annually, or about 60 percent of the household’s annual use. The homeowner buys remaining electric power from the local utility, typically enjoys lower overall power bills and has some protection against potentially higher traditional electricity prices. Electricity prices have not risen in recent months, but are expected to rise in coming years as the cost of increasingly stringent clean-air regulations are passed on to customers. If the solar company is to make money and the homeowner save money, there must be a combination of high local electric rates, state and local subsidies, as well as low installation costs. Then there is the matter of sunshine. A house with solar panels should have a roof that faces South that is not shaded by trees or other buildings. “You have full flexibility in what you want to pay on a monthly basis,” said SolarCity CEO Lyndon Rive, who pointed out that homeowners are charged only for the electricity the company’s solar panels generate at or below market rates. If the panels produce more power than the home uses, the consumer gets a credit. “It’s actually a win-win,” Rive said. “This industry is going gangbusters despite the economy,” said Danny Kennedy, founder of Oakland-based Sungevity. According to Kennedy, the lease option his company started offering in March 2010 has pushed sales “through the roof.” He expects to complete 30,000 leases in 2011, up from 10,000 in 2010. California and Colorado accounted for more than a third of the residential solar market leases in the 1st quarter of 2011, according to a report from the Solar Energy Industries Association (SEIA). The growth reflects that of the overall solar panel market, which expanded at an average annual rate of 69 percent since 2000, including 100 percent in 2010, according to SEIA, which expects the market to double this year. Google has chosen to invest in clean energy projects because of the potential returns and the potential to impact the industry. 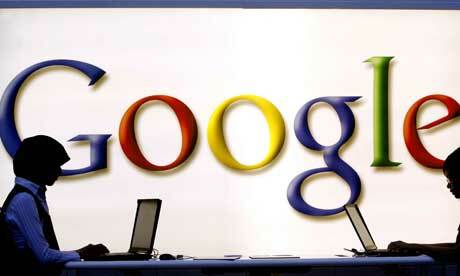 “We hope that Google’s leadership in the space will encourage other corporate investors,” Rive said. There definitely is room for other investors to get involved: Fewer than 0.1 percent of American homes currently have rooftop solar panels, but that number is expected to grow to 2.4 percent by 2020, according to Bloomberg New Energy Finance. It’s highly likely that Google-financed companies like SolarCity will have a role in that growth. The SolarCity project is not Google’s first venture into the clean energy market. The firm has invested $168 million in California’s Ivanpah solar farm and another $100 million in the world’s biggest wind farm. That is the $2 billion Shepherds Flat project, near Arlington, OR, that will stretch over 77 square kilometers of north-central Oregon and generate enough energy for 235,000 homes. The project, which will go into operation in 2012, is being developed by Caithness Energy. The dot.com era is moving on. Websites will soon be able to end with anything from “.shop” to “.canon” after the group that manages Internet addresses approved the historic change. The Internet Corporation for Assigned Names and Numbers (ICANN), which until previously allowed just 22 suffixes including “.com” and “.org,” will accept almost any word in any language. The move could prevent cybersquatting, the practice of registering domain names and selling them to trademark owners, often for big bucks. Big business may have to buy addresses to prevent their brands from being hijacked, which costs $500,000 per company, according to an estimate from the Coalition Against Domain Name Abuse. “Today’s decision will usher in a new Internet age,” Peter Dengate Thrush, chairman of ICANN’s Board of Directors, said in the statement. “We have provided a platform for the next generation of creativity and inspiration.” Applications for custom suffixes, which will cost $185,000, are not inexpensive and the first of these “top level domain names” won’t go live until the end of next year, said Adrian Kinderis, a member of Icann’s advisory council. Canon, Deloitte and Hitachi Ltd., are some of the companies that are interested in company domain names, while generic names will be auctioned to the highest bidders, Kinderis said. “Icann has opened the internet’s addressing system to the limitless possibilities of the human imagination,” said Rod Beckstrom, president and chief executive officer for ICANN. “No one can predict where this historic decision will take us.” There is the possibility that several hundred new generic top-level domain names (gTLDs) will be created, which could include such addresses as .google, .coke, or even .BBC. At present, there are just 22 gTLDs, as well as approximately 250 country-level domain names such as .uk or .de. According to industry analysts, it’s a price that global giants might be willing to pay to maximize their internet presence. The money will cover costs incurred by ICANN in developing the new gTLDs and using experts to scrutinize the thousands of expected applications. “Brands need to act now if they want to apply for one of these new domain names as it is not as simple as registering a .com address. ICANN’s application fee is $185,000 USD and the application process is complex, requiring a submission which will run into hundreds of pages. Many companies will engage with a specialist to help them apply and manage their new TLD,” said Theo Harakis, chief executive of Melbourne IT Digital Brand Services. Sebastian Bachollet, an ICANN board member, expresses confidence with the decision. “Some people feel that the new gTLDs will cause confusion…I trust we have the tools to ensure the phase of stress will be brief,” Bachollet said.